Hokonui Bed & Breakfast is located on the outskirts of Gore, in Southland New Zealand in the heart of one of the world’s great fly fishing destinations. 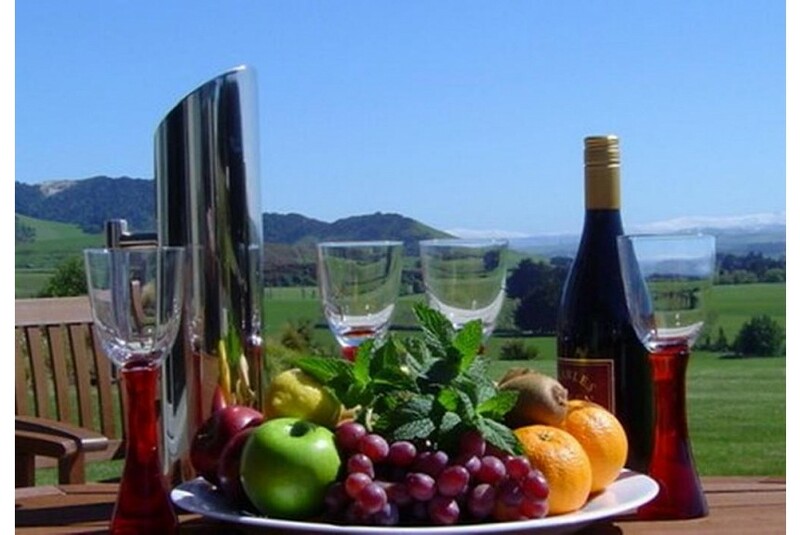 We are set on twelve acres of farmland with dramatic views over the Mataura river valley to the Hokonui Hills. We have extensive lawns and gardens which border our paddocks where animals graze. Despite its private and rural setting, our home is very close to the conveniences of Gore with its restaurants, shops and activities. Just down the road is the local Gore golf course and access to Croydon Bush and Dolamore Park with its many native bush walks.